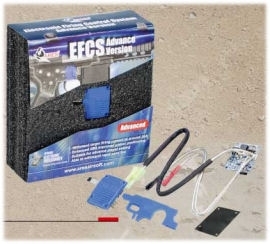 Ares Amoeba EFCS Advance Circuit Unit Front Wired - Blue. Precise magnetic sensors control piston postion. 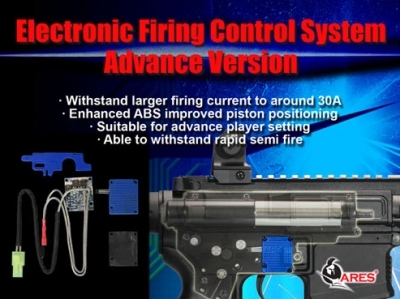 Onboard ABS enhance piston positioning. Braking power always cut off after completed cucle to save battery. Able to withstand rapid semi-fire. No maintenance required, not affect from dust and grease.